We all like the Hollywood treatment once in a while – getting the personal, 1-to-1 type of experience that make us feel like a VIP. But the star treatment is no longer reserved for the red carpet. 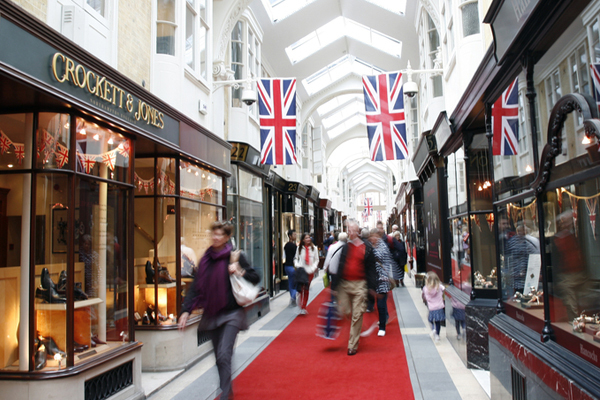 In fact, for retailers to stand out, they need to deliver a luxury experience - even on the high street. How, you ask? By making it more personal. This trend is one that stood out in our recently released Connected Shopper Report (based on a Harris Poll of more than one thousand UK adults), today’s shoppers are increasingly beginning to expect the star treatment from retailers. Check out the infographic for some of the highlights and read on below for further commentary regarding the UK findings. Almost three times more likely to expect the stores they visit to know all about their online shopping and research on that retailer’s website (49% of millennials feel this way vs. 18% of boomers). Of all shoppers, 56% feel overwhelmed by retail marketing communication – however, 74% like receiving personalised offers and promotions based on their purchasing history. When you hone in on the millennial generation, more than one in three (34%) do not believe retailers are getting any better at offers/promotions that feel bespoke. Further, just because millennials are in the shop, doesn’t mean they are going to the till: more than one in four (27%) has purchased an item from their mobile while in a shop – either from that same retailer or another one… this is true for just 1% of boomers. Overall, I believe our hyper-connected age is impacting what all consumers want and expect. When you look at the remarkable differences between the attitudes and preferences for younger, digitally native shoppers and older generations it becomes very clear. As such, for retailers, the ability to offer personalised services is critical. Obviously millennials are a hugely important demographic – after all, there’s an opportunity to foster relationships that could last for decades. But, in addition to that, I believe that we’ll only see consumer expectations continue to rise among future generations as our world becomes increasingly digital and connected. For all retailers to compete, it will be absolutely essential to achieve a single customer view which pulls data from every channel and every customer touch point – and ensure that those insights are being used to make every experience feel VIP, whether it’s digital, on the phone or in-store. In addition, AI-powered predictive intelligence tools will become critical for identifying and delivering insights that will enable businesses to accurately predict what consumers will need, and want, in the future. The bottom line is that while not every retailer may cater to the A-list, in the near future all of their customers will be looking for the celebrity treatment. Get ahead of all the big trends shaping the future of retail by downloading your copy of the brand new Connected Shopper Report.